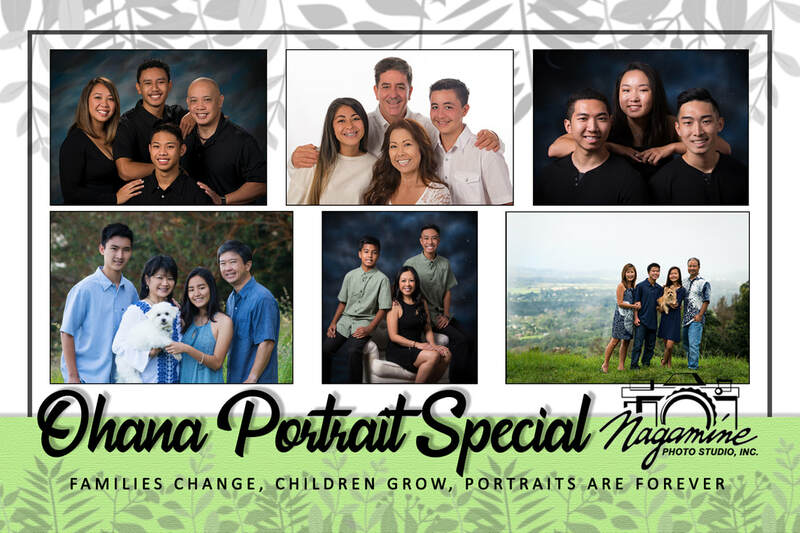 Spring Specials 2018 - Nagamine Photo Studio, Inc.
CLASS OF 2019. . . It's not too late! Order your Formal Portraits by March 22, 2019 to take advantage of the Spring Portrait Special! To view and order your Yearbook selection, click on the order button above. Select your school and use your online code to login. If you need your code, call us and we'll be happy to help you! What you do is easy. Click the order button above to order from your yearbook pose. If you prefer to come to the studio, give us a call and mention the “Spring Portrait Special” and schedule an appointment. 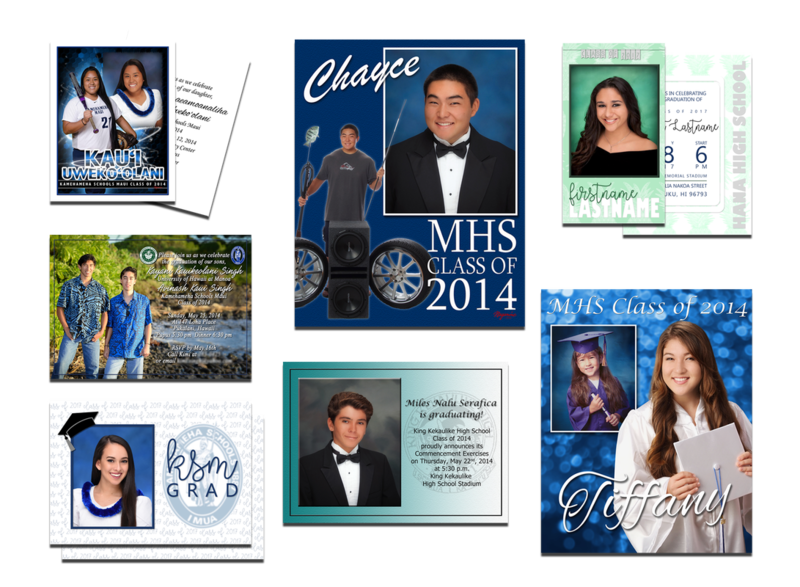 We suggest that mom and/or dad come along to help with your senior portrait order. Take advantage of the wall portrait savings for 11x14s and larger to commemorate this huge accomplishment! 50% deposit is required when your order is placed in studio. Need to do more poses? Call us by March 22, 2019 to make an appointment for a traditional photo session and/or limited senior portfolio sessions which include images on a CD for you to use as you please. Formals in tuxedos for guys and black drapes for girls. Casuals in your own attire or come and discuss ideas with us. Respond by MARCH 22, 2019 to take advantage of these exceptional offers and beat the last minute rush before graduation. ​*Due to the custom nature of these photo sessions there is a limited number of sessions that can be scheduled. Call now to reserve your senior session today. A pre-session consultation and payment in full is required to confirm. Call 808.244.3636 to schedule your appointment! ​Call us at 244.3636 and ask us about our banner and card specials! ​3 Hour photo booth with props and custom template only $550.00 (Reg. $750.00) and receive a FREE 24x30 Photo Banner! Congratulations on your child’s achievement! 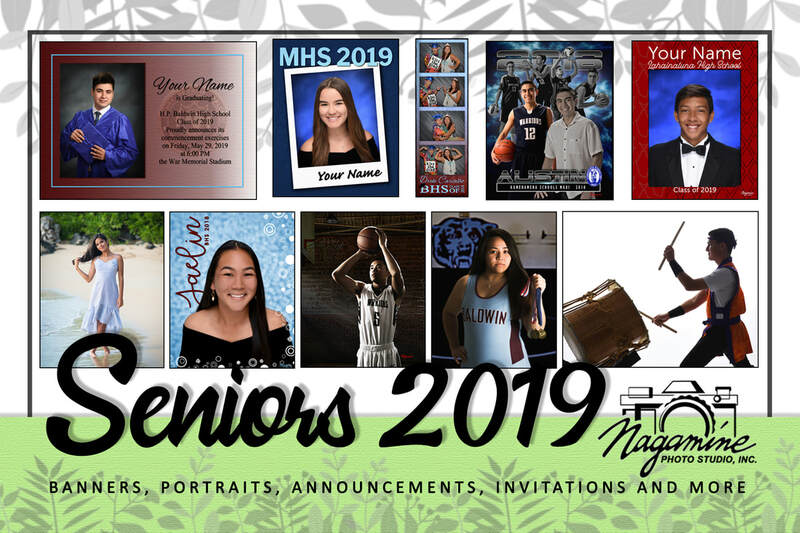 Our family here at Nagamine Photo Studio would like to extend our gratitude and appreciation to you for allowing us to be a part of your child’s final year in high school. Let us help you commemorate this joyous occasion. Due to the popularity of this special and the limited number of sessions available, spots fill up fast! Call us today at 244.3636. Last day to schedule an appointment is April 16!